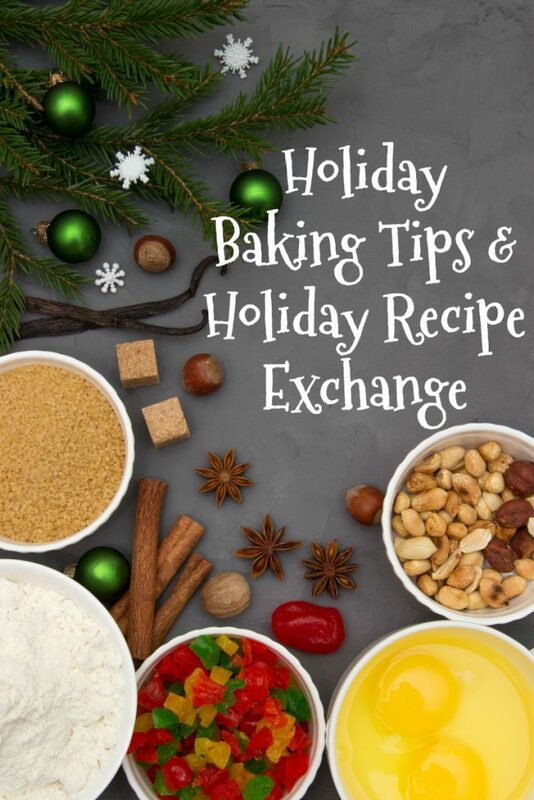 The holiday baking season is well upon us – and I am excited to share a delicious Christmas cookie recipe with you, as well as some baking tips and egg nutrition! As you may know, eggs are one of the most important and indispensable ingredients that are used in baking. They add moisture, color, flavor and nutritional value to the delicious recipes we make. Did you know that more eggs are marketed during the winter holiday season than any other time of year – this includes Easter! If you live in Ohio, you should know that we are the second largest egg farming state in the nation. We produce more than 9 billion eggs in a year – crazy! Make sure to take a virtual tour of the Lochtefeld family, who are egg farmers from Mercer County, Ohio. They are one of many egg farming families you can meet when visiting OhioEggs.com who are committed to providing excellent care for their flocks, to producing safe, healthy eggs and to protecting the environment for future generations. Use large eggs in holiday baking! Using a different size egg, without making an adjustment, will affect texture, flavor and consistency. If you don’t have large eggs, use this conversion chart to see how to substitute a different size. If your recipe calls for multiple eggs, add one egg at a time. This will help prevent a lumpy batter and will allow it to mix evenly. Use an inexpensive egg separator or a funnel to separate eggs, rather than passing the egg yolk back and forth from the shells or your hands, to avoid contamination when a recipe calls for only egg whites or yolks. 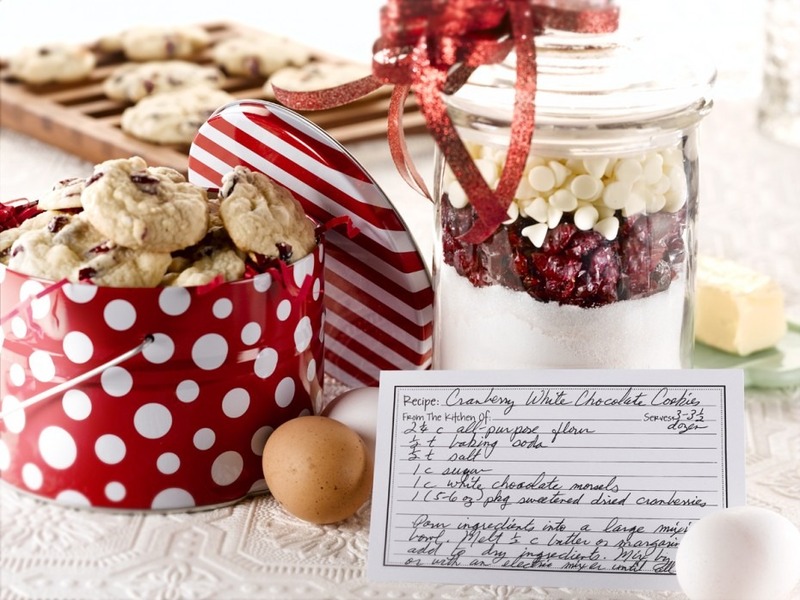 Now put these baking tips to use with this delicious Cranberry White Chocolate Cookie recipe! Make a batch for your holiday gathering, or package up the dry mix to give as a gift. 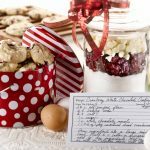 For Dry Cranberry White Chocolate Cookie Mix, combine all ingredients in a clear 2-quart container with tight fitting lid. Cover with lid. Store in a cool dry place until ready to give as a gift. To make cookies, preheat oven to 350°F. Combine 1 container dry cookie mix with butter in a large mixing bowl. Add eggs, one at a time, mixing until well combined after each addition. Stir in vanilla until blended. Drop dough using a tablespoonful for each cookie onto ungreased cookie sheet. Bake 10 to 12 minutes or until light golden brown. Let cool on cookie sheet on wire rack 1 minute. Remove and cool completely. Today’s post is brought to you by OhioEggs.com and the Ohio Poultry Association. All opinions, as always, are 100% my own! Yummy! These cookies sound absolutely delicious! I love the combination of white chocolate and cranberries. 🙂 Thanks for sharing! Cranberries and white chocolate is a popular combination in cookies. Thanks for the recipe! These look really good. I like cranberries.